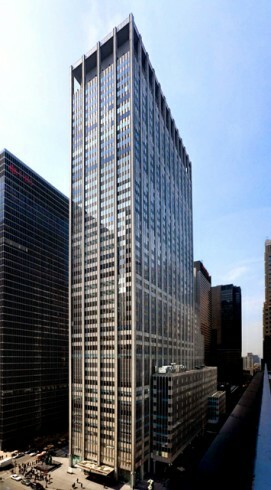 1301 Avenue of the Americas | Paramount Group Inc. 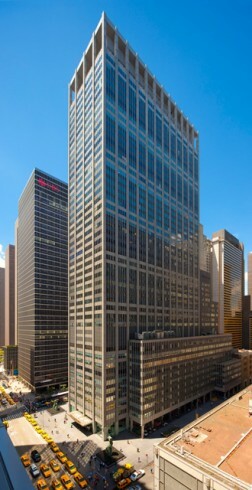 Designed by world-renowned architectural firm Skidmore, Owings & Merrill, 1301 Avenue of the Americas is a stunning 45-story office tower featuring over 1.7 million square feet of first-class office space that includes approximately 30,000 square feet of ground floor and concourse level retail space. 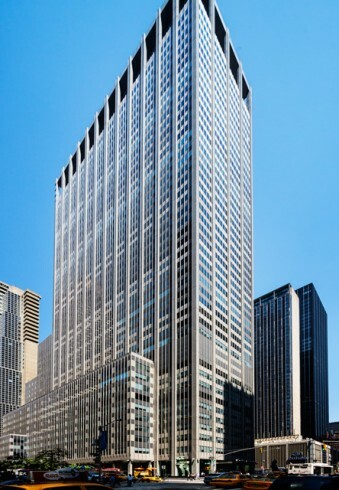 Additionally, the building provides lower level access to Rockefeller Center, with its many upscale retail shops, fine dining establishments and subway connections. 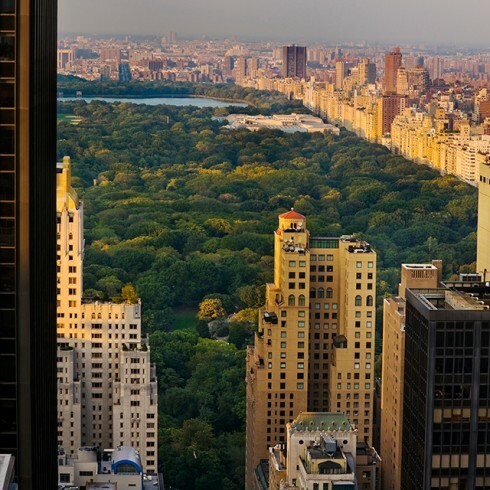 The building offers it tenants abundant natural light on all floors along with magnificent views of Central Park and other Midtown landmarks. 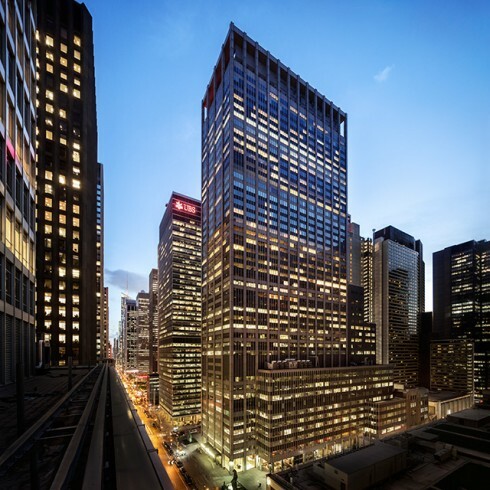 The impressive double-height, glass-enclosed lobby features a rolled silver leaf ceiling, mahogany walls and granite floors.